Andrzej Żuławski explores the turbulent breakdown of marriage in his shocking psychological horror Possession. 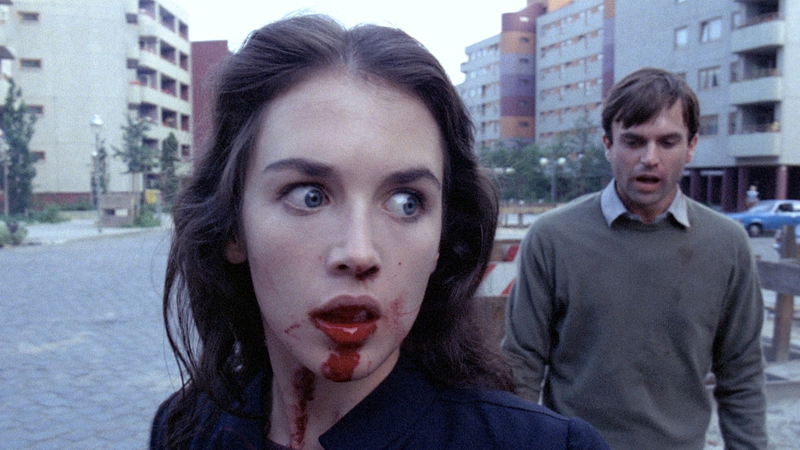 Boasting explosive performances from his two leads, Isabelle Adjani is a force of nature, shifting chameleon-like between her two roles as sweet school teacher and maniacal ex-wife. Anna (Isabelle Adjani) leaves her son Bob and husband Mark (Sam Neill), after revealing that she is having an affair with another man. Anna continues to visit the house after she has left, becoming more violent, and gradually descending further into madness every time Mark sees her. Mark decides to hire a private investigator to follow his wife, revealing a dark and twisted secret about Anna, and what resides in her dingy apartment. Set in divided Berlin, the city torn apart by war serves as a clever reflection of the couples separation. This idea is developed through the cinematography, purposefully dividing the couple in each frame, demonstrating the cracks in their marriage and their differing viewpoints of marital bliss. Mirrors are inserted into many of the scenes, symbolising the duality of the characters, and how the couple wish each other to be a different version of themselves. These desires are further visualised by eerie doppelgängers, who personify Mark and Anna’s idealised partners. Anna is the embodiment of female rage and hysteria. Unhappy with her home life and her husband, she unapologetically looks for something more. Anna is frank with Mark about her affair, boasting that her lover pleasures her like he never could. Despite her attempts to emasculate her husband, and to punish him for trapping her in conventional family life, Mark continues to pine after Anna. In a traumatising scene of desperation, Anna self-mutilates with an electric knife, so fed up with Mark’s pathetic plea for help, and his continuous demands of her even after she has left. Anna trashes her home, pulling food out of every cupboard onto the floor, leaving her young son to fend for himself. Breaking every convention of the ‘perfect housewife’, Anna rebels against the domesticity that suffocates her. In the infamous subway scene, Anna writhes and convulses through the tunnel. She throws her body around, loose like a rag-doll as she lets out blood-curdling cries of pain. The bag of groceries she is carrying is slammed against the wall repeatedly, milk spilling all over the floor, indicating the resentment Anna feels towards her role as mother. Every last ounce of energy is exhausted in Adjani’s explosive performance as the exasperated wife. One of horrors most unique offerings, Possession is the perfect allegory for a woman’s rebellion against her expected place in society. 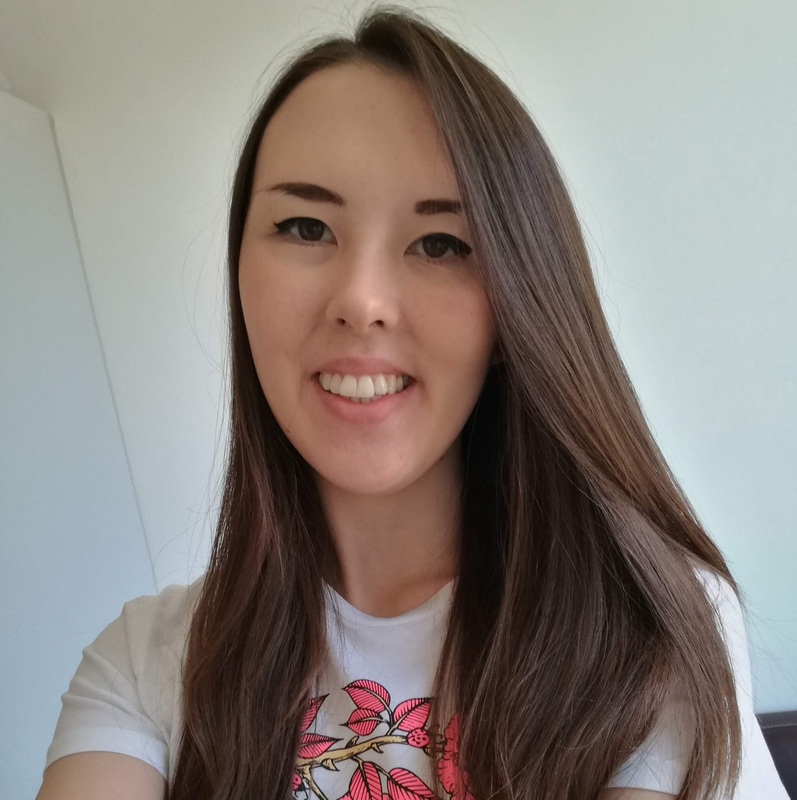 Emily is a film researcher currently completing her masters on the representation of Asian culture in Blade Runner and Blade Runner 2049.When not studying or in the cinema she can be found at home binge watching 90s TV such as The Fresh Prince of Bel Air, Friends and Twin Peaks. She also enjoys costume making and gaming at home with her boyfriend. Her favourite films include Ratatouille, Goodfellas, Chungking Express and Lady Bird. You can follow her on Instagram at @boba.gett and on Twitter at @95bobagett.